We consider this unrivalled suite to be ‘the place’ to stay in Milan. 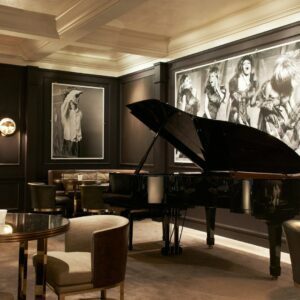 Over the years it’s proved popular with many famous faces including royalty, film stars and world-renowned singers. It’s not just the vast size of this suite, covering 500m²/5,380ft² and making it one of the largest in Europe, guests love its ornate décor and wonderfully lavish furnishings. If you like art and antiques, you’ll appreciate being surrounded by an array of carefully selected interior design elements, inspired by some very famous places. For example, our medieval style ‘Cosmati’ marble floor pattern is reminiscent St Mark’s Basilica in Venice and Sienna Cathedral. We have intricate mosaics inspired by the ancient villas of Pompeii. Decorative items include 17th-century style chandeliers and wall sconces reproduced by the same factories in Murano that created the original designs, alongside late Renaissance-themed furniture. Just when you think you’ve discovered all that this exceptional suite has to offer, discover what makes it truly outstanding. Open the large set of doors at the far end of the entrance hall and you’ll be transported to what looks like a scene straight out of ancient Rome. 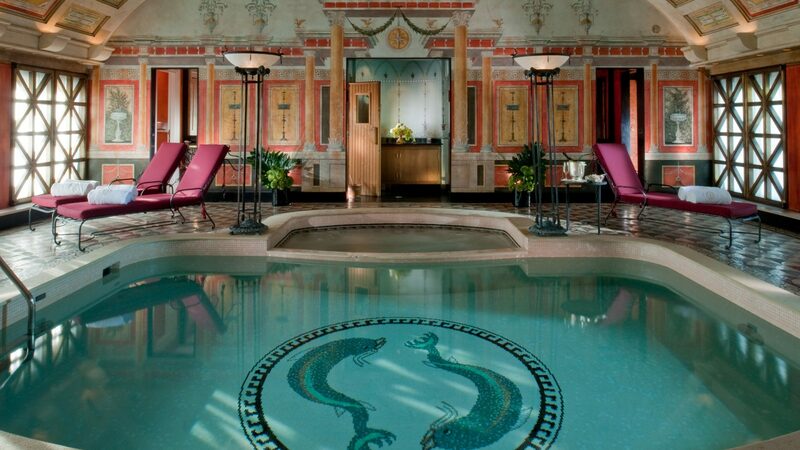 The suite’s own private pool and spa area is covered in ornate frescoes and has an impressive barrel-vaulted ceiling. The swimming pool is decorated with a dolphin motif and there’s a sauna and Turkish bath to relax in. So distinctive is its interior, it was chosen as the setting for a scene in Sophia Coppela’s film Somewhere. Trust us, it really does have to be seen to be believed. Milan is known for its popular aperitivo time and where better to enjoy a cocktail or two created by your own personal butler than on this suite’s private terrace, which runs the entire length of the hotel. Situated on the 10th floor, you’ll get a spectacular view across the Milanese skyline as you watch the sun go down. Let us take you on a tour, highlighting our most prized works of art. We hope it will inspire you to enjoy your own treasure hunt when you visit us. 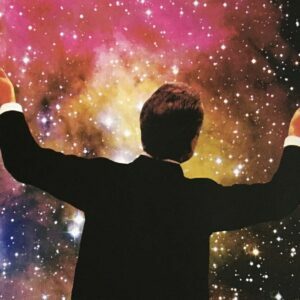 Designed to collide with his space-themed ‘Stardust’ exhibition at 45 Park Lane, artist Joe Webb shares with us a fascinating insight into his art. Trust us it’s truly out of this world. Prepare to be intrigued and delighted, as fine artist Anna Masters seemingly defies the laws of gravity, for our latest art exhibition at 45 Park Lane. Here she shares the meaning behind her latest body of work, ‘Suspended Animation’, which has been created especially for this exhibition. Each year we create a special Dorchester Collection calendar, which is placed in all of our rooms and suites. This year we decided to choose a talented illustrator to bring our hotels to life in their own unique style. Lily Ackerman, director of Ackerman Studios, a London based art consultancy, has been the driving force behind our latest art exhibition, Emerging Artists 2018: An Edit. It’s an impressive start to our Year of Art programme she’s creating at 45 Park Lane.